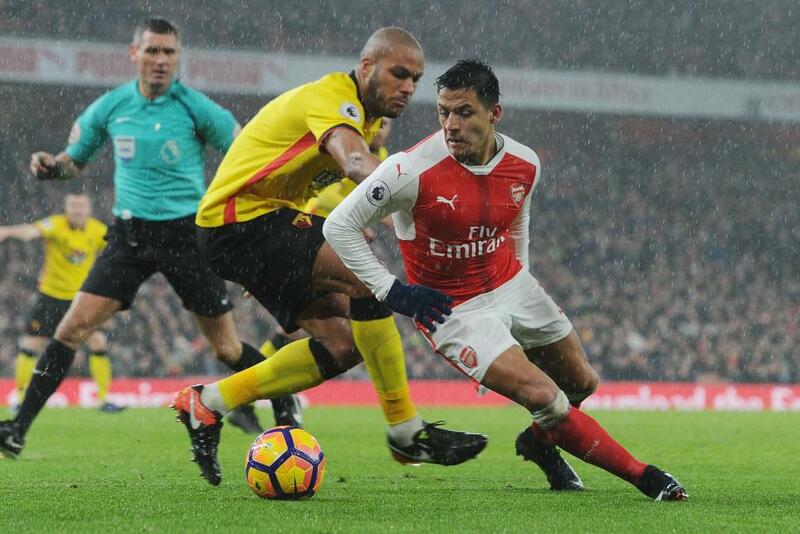 Troy Deeney (£6.6m) collected the maximum Fantasy Premier League bonus points for the second successive Gameweek as Watford earned a shock 2-1 victory over Arsenal at Emirates Stadium. Having scored at AFC Bournemouth in Gameweek 22, the Watford skipper registered back-to-back goals, netting after Etienne Capoue's (£4.6m) effort was saved by Gunners goalkeeper Petr Cech (£5.4m). Deeney recorded 36 in the Bonus Points System (BPS), having also contributed seven recoveries as the Hornets held on for the three points. Younes Kaboul (£4.4m) was the scorer of Watford's opening goal, with his free-kick deflecting past Cech to earn the defender 24 in the BPS and a single bonus point. The centre-back also supplied 11 clearances, blocks and interceptions (CBI). 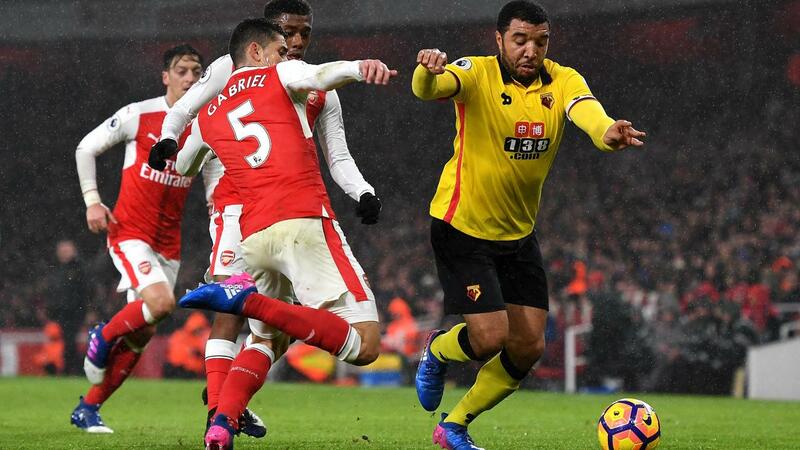 Arsenal's Alex Iwobi (£5.9m) separated the Watford pair, scoring 32 in the BPS to pick up two bonus points. The Nigerian converted Alexis Sanchez's (£11.9m) chipped pass to peg back the visitors, while also completing 88% of 53 passes and three dribbles. Despite suffering defeat, the four points for Sanchez means he has now returned a goal or an assist in 10 of his last 11 Gameweek starts. Backed by 18.5% with the Gameweek 23 armband, of the seven top 10 captain picks in action on Tuesday night, Sanchez was the only one to return points. He remains top of the overall FPL standings on 166, just a single point behind his 2015/16 season tally. Significantly, Sanchez moved back to the central striker role with the withdrawal of Olivier Giroud (£8.7m) at half-time, as the Gunners chased the match. 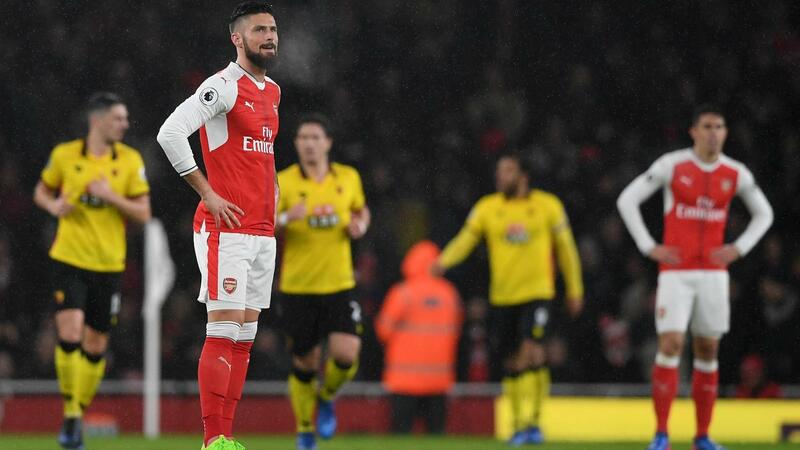 Theo Walcott (£7.4m) was introduced on the right flank, consigning Giroud to his second successive blank having previously returned four goals in as many Gameweeks. The Frenchman has subsequently suffered more sales than any other FPL asset ahead of Arsenal's trip to face Chelsea in Gameweek 24. 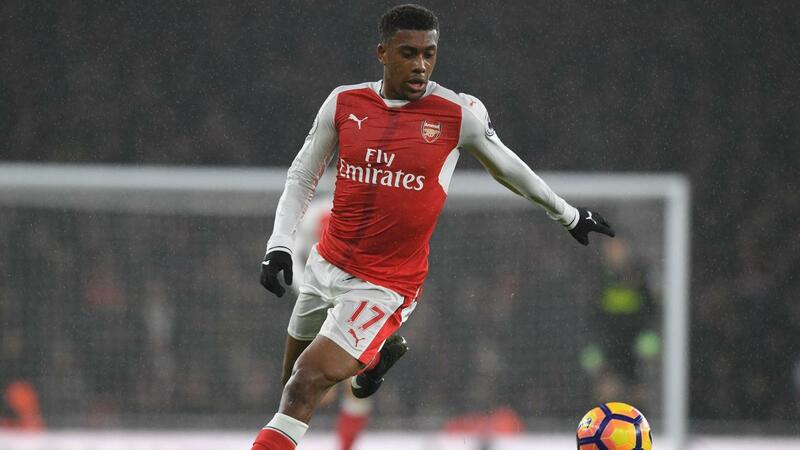 Meanwhile, Iwobi has returned two goals and two assists, along with six bonus points, in his last five Gameweeks and has started seven successive Premier League matches. Deeney's strike took him to three goals and eight bonus points from his last six starts. The Watford skipper has increased in ownership overnight, having suffered a decline over his last 10 Gameweeks, leaving more than 119,000 FPL squads. Similarly, Capoue's assist, his first returns since Gameweek 12, has led to his ownership diminshing. Once part of over 1.7 million FPL squads, Capoue has been sold by more than 426,000 over the past nine Gameweeks.